Some of the reports from international organizations that help us to understand better the world we live in. Hot, Flat and Crowded: Why the World Needs a Green Revolution – and How We Can Renew Our Global Future is the latest book of Thomas L. Friedman. His previous book, The World is Flat , has had an incredible success. This latest book focuses on a very hot topic and is already in the BusinessWeek Best Sellers. If you are passionate about international strategy and on how business works globally, then one of the authors you should read is Pankaj Ghemawat. Distance Still Matters: The Hard Reality of Global Expansion is one of his famous article on the importance of distance in business. Distance is defined broadly and includes cultural, geographic, administrative and economic. Google’s voice recognition search application for the iPhone will likely go live sometime Monday according to TechCrunch. The demo below is quite impressive. 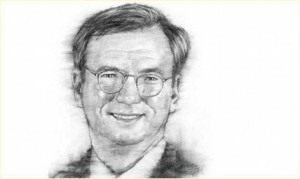 The McKinsey Quarterly has an interesting interview with Google CEO Eric Schmidt (free registration required) on how the Internet will change the nature of competition, innovation, and company operations. In its annual ranking of top MBA programs, Business Week has ranked IE’s International MBA program No. 2 worldwide among non-US schools (Business Week compiles separate rankings for US and non-US schools). I write about it because I am currently finalizing my International MBA at IE Business School (December 2008). Having said this, you have to take all rankings with a grain of salt. Methodologies vary and schools fluctuate. So we shouldn’t read too much into a particular spot. But the fact that Business Week, the most important US ranking, now has reached similar conclusions about the quality of our MBA and particularly about the caliber of IE students as other leading publications such as the Financial Times and The Economist is very gratifying and makes us proud. Microsoft has updated its Windows Live services. Windows Live nows contains several interesting Internet services for the Desktop and mobile phones. The key is to access documents, email, calendar, data, IM and information wherever you are and whenever you want, as far as you have an Internet connection. As highlighted by the Search Engine Land Blog, this is part of Microsoft’s software + services + cloud strategy. Nokia OVI has very similar services. Google, Yahoo, Apple have similar offerings. It is interesting to see the evolution of this industry convergence among Desktop, Mobile, Internet. Thomas R. Eisenmann, Geoffrey Parker, Marshall Van Alstyne have written a paper on software platforms evolution, Platform Envelopment. Due to network effects and switching costs, platform providers often become entrenched. To dislodge them, entrants generally must offer revolutionary products. We explore a second path to platform leadership change that does not rely on Schumpeterian creative destruction: platform envelopment. By leveraging common components and shared user relationships, one platform provider can move into another’s market, combining its own functionality with the target’s in a multi-platform bundle. Dominant firms otherwise sheltered from entry by standalone rivals may be vulnerable to an adjacent platform provider’s envelopment attack. We analyze conditions under which envelopment strategies are likely to succeed.